In an uncharacteristic move away from form, a writing blog entry. This one’s on every writer’s favourite subject. You want to write? Well, writing costs. And right here's where you start paying. In cold sweats. 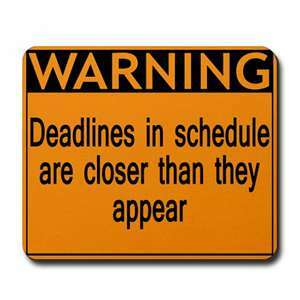 Deadlines. Targets. Reaching the unreachable. That’s what a lot of this writing thing has been about for me. When I started writing, ages ago, I only ever wrote short stories. Due to the fact that when I’m in the Writing Groove and combined with my automaton-like 100+ wpm typing speed, I can turn out 2,000 words in less than hour (when the moons of Saturn are in phase with the cricket population of Western Samoa). But you can’t keep up a pace like that when you’re working on larger projects. So here’s how I handle targets and deadlines. It’s a bit of a mathematical formula really. And given that maths was my least-favourite subject at school, it’s a wonder that I can work it out. Target = Time+Daily Word Count. Simple enough. Let’s say… you have four months to create 100,000 words. You sit down in front of your computer or your typewriter if you’re still so inclined and you ponder the formula. So the first job is to break your 100,000 words down into big chunks. Over four months, it’s pretty straightforward. 25,000 words per month. Each month has at least 28 days in it. That’s only 892 words a day. In the months with more than 28 days, anything else you write is a bonus! Projects rarely start exactly on the first of the month, unless you’re either incredibly lucky or very brave. So you may find that your ‘four months’ is actually ‘three and a bit months.’ (That’s if you’re sensible. If you’re brave, you’ll write January off altogether). What happens if you start your project on January 20th? Already you’ve lost 19 days. That means your target for the first month, according to that formula, would be 2,272 words per day for the rest of month. Which again, is achieveable, but definitely more stressful. Particularly if you work full time. But you know what? All this is rubbish anyway. Everyone fnds their own way of working. For The Gildar Rift for example, my targets were ambitious wee things. I met them – but there were times it got a bit hairy. I’d never planned my own writing targets in this way before and completely forgot to incorporate small events like ‘Christmas’ and ‘New Year’ and ‘complete bloody apathy’. When I sat down and planned out Valkia the Bloody, I was much calmer about the process. I had been through it before and knew my own limitations much better. Actually, I went a bit too far the other way and went massively over target as I was going along. Which is nice in a way. But it’s all a learning curve. I think the fact that I have to work to targets and deadlines in the Day Job helps enormously (believe me, my ability to tell you 14, 31 and 62 day dates from any given date is the world’s most boring party trick). I know that if a patient is on day 32 of their pathway, I need to start Prodding Buttock around the hospital to get things moving more swiftly. It’s the same with my writing. If I’m more than 1,000 words below my writing target the week before the end of the month, I unconsciously up my output. The thought of ending the month in some sort of word overdraft fills me with a sense of creeping dread. I think it’s important that you don’t beat yourself up if you don’t make your daily target. Seriously, I can’t stress that bit of advice enough. Don’t beat yourself up! Seriously. Don't do this. You'll look like a complete idiot, for a start. If you struggle to output 500 words on one day, you’ll compensate on another day. It’s no big deal. Every one of those 500 words counts towards that 25,000 monthly target. If you’re doing brilliantly and the words are flowing, just keep going. Also, monitor that progress in a visual way if that’s what works for you. I’m tragically sad about this. I have… yes. I have a spreadsheet with a line graph that makes me happy when I watch that little line creep up and up to the target line. I also have my whiteboard where I write up the monthly target and the current wordcount. It helps me. It might help you. It might not. Like I say, everyone works out their own way of doing things. I’m ahead of January’s target, which is why I’ve not sweated this weekend. I’ve not written anything since Friday because I’ve been under the weather. But I also know that there’s still two more days in January for me to inch a couple of thousand words over January’s target and start nibbling into February’s. There. Optimism and all that. Let’s finish off with something suitably random, so here’s a hedgehog reading a newspaper. Wearing a strawberry as a hat. He'd better not be reading the frelling Daily Mail. This entry was posted in General, Writing and tagged blather, Gildar Rift, I'm an author now, Silver Skulls, Valkia the Bloody, W40K, weekend, WHF, Writing. I want assembling utile information, this post has got me even more info!